Party Room + Golf, Mini Golf, Instruction, Footgolf and More! Broad Run Golf is the perfect place for a fun-filled birthday party, memorable group outing or a special day with friends or co-workers. Whether you are a scout troop, soccer team, church group, or a family celebrating a birthday, we offer a variety of fun-filled activities sure to make your event special. We will work with you to tailor your event to meet your particular needs. Fill out the inquiry form to the right, call our friendly staff at 703.365.2443 or stop by in person for more details and to book your event. Let us help you make your next event special! 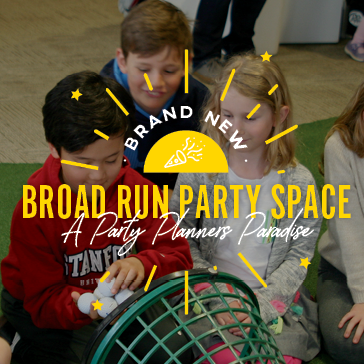 Learn more about what Broad Run has to offer for your next upcoming event! We have a brand new event venue that's perfect for your next gathering! Call us or fill out the form at the bottom of the page for more information.